Committee discusses 'fast track' for IDF service for new immigrants in light of program to bring French Jews to Israel en masse. The debate of whether to lengthen IDF service for certain sectors of the population, including hesder yeshivas, has been swirling through the Knesset for the past several months. But on Wednesday, MK Yoni Chetboun (Jewish Home) pushed for the opposite: the possibility of making a 'fast track' for IDF recruits who have recently immigrated to Israel. Chetboun, who is the Chair of the Knesset Caucus for French Immigration, presented the push during a hearing with the Committee for Immigration, Absorption and Diaspora Affairs. The government is embarking on a major program to bring French Jews to Israel en masse in response to anti-Semitism there, and has made an extra effort to reach the young adult population. "People make aliyah for Zionist reasons," Chetboun noted, "but even Zionist have their obstacles [to overcome]. We must understand that for us, IDF service is part of the ethos and the [natural] story of our lives, but in the Diaspora there is a different perspective. The gap between the alternatives a French Jewish teenager faces in his future - studying at the Sorbonne [major French higher educational institution in Paris - ed. ], for example - versus three years in the IDF can provide a real obstacle to Aliyah." Benyamin Toati, head of the French Desk of World Bnei Akiva, opined that there already are alternatives to traditional IDF service. 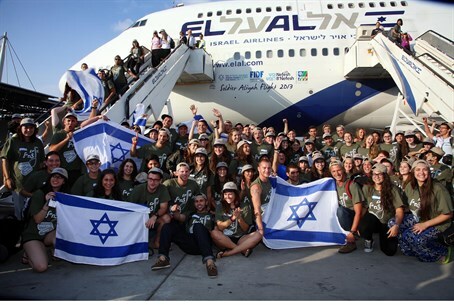 "Machal, the optional IDF draft program for volunteers from the Diaspora, is designated for Jews who do not want to make Aliyah," Toati stated. "Among French immigrants, at least, serving in Machal is a way to shorten military service [before making Aliyah later on]." Committee Chairman MK Yoel Razvozov (Yesh Atid) noted that, whatever the solution, there is a need to change the status quo. "[IDF] service is very important, especially in terms of integrating into society," Razvozov stated. "We must find the right formula to integrate immigrants into military service in accordance to their needs." Yeshayahu Michaeli, head of the Aliyah program Na'aleh, disagreed. "Whoever wants to make Aliyah does not have a single excuse not to do what the government tells them [to do]," he opined. "Serving in the military is critical for integrating into society." IDF Induction Base Commander Colonel Gil Ben Shaul noted that the IDF service is not only a critical part of integration, but could also be a positive and transformative experience. "The IDF is not an obstacle - it's a step forward," he reasoned. "It is my understanding that the Diaspora community's frustration with IDF service stems from lack of knowledge and explanations about the IDF from organizations not familiar with the details. We are working carefully to solve specific problems facing new immigrants." "At this point we cannot even consider changing the length of immigrants' IDF service at all," he continued. "Anyone who comes to Israel before the age of 18 is obligated to serve three years; for those who make Aliyah after 18, the length of service decreases [incrementally] until by age 22, the obligation is only six months. There are many immigrants who, despite their age, have asked to complete the full military service and there are no small number of cases of recruits aged 28 who serve as combat fighters in the IDF. They understand that the army is the ticket to integration into Israeli society." "If you can come to an agreement whereby the service of hesder yeshiva students and yeshiva students from the hareidi sector are reduced, I see no reason why we can't make a similar 'fast-track' for new immigrants," MK Nissim Ze'ev (Shas) argued. "Jews in France are in distress, and the IDF is a real obstacle for them to make Aliyah. This is closing the gates." The meeting concluded with MKs Chetboun and Razvozov setting another meeting to be held with representatives from the IDF, the Ministry of Defense, and the Ministry of Immigration and Absorption to discuss the possibility of forming a shortened IDF service plan for potential immigrants to Israel.